The most complete kids’ animal encyclopedia on the market! 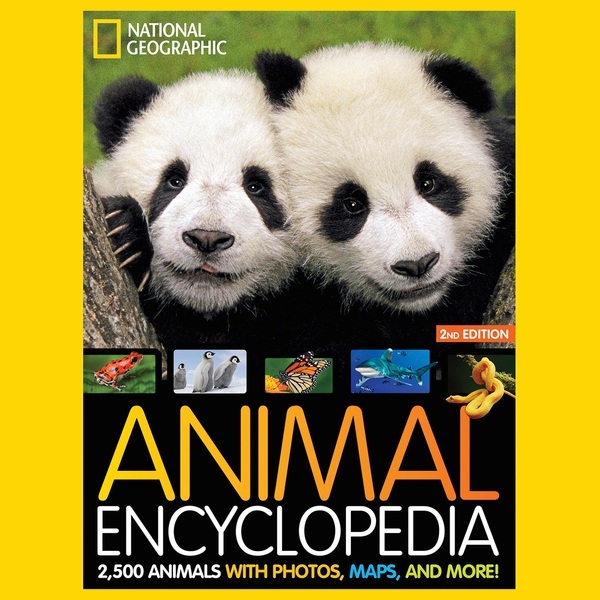 The National Geographic Animal Encyclopedia is packed with more than 1,000 full-colour photographs, diagrams, and range maps, as well as lively, authoritative text, presenting a riveting (and often surprising) survey of the animal kingdom. Featuring a mind-boggling 2,500 species, thousands of fascinating facts, the latest conservation data, and exclusive from-the-field reports from "National Geographic's" explorers, this amazing resource will find a permanent spot on every child's desk or bedside.